The Ride: Believe or not, but there’s a promise for a sunny Sunday. 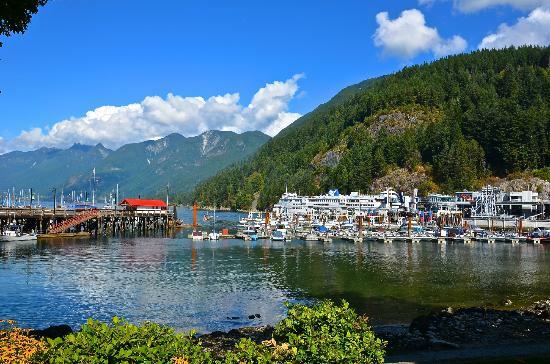 We will leave the comfort and safety of Vancouver to venture to the North Shore to Horseshoe Bay via a twisty and wavy bike route. Lunch will be at our destination at one of the fine dining establishments, or eat at the park. We will then return on scenic Marine Drive with its breathtaking views, and make our usual cappuccino stop at Delany’s. This entry was posted on Saturday, April 15th, 2017 at 5:01 pm and is filed under Old Rides. You can follow any responses to this entry through the RSS 2.0 feed. You can leave a response, or trackback from your own site. These North Shore rides never disappoint. We had 8 cyclists of which zero actually bothered to look at the posted route ahead of time. That was actually a good thing, since no one had a clue the path we took would test our legs and cardio – besides Kelly of course. Great ride, will do again. Thanks for a great ride Andrea.